American Express has been sending out gifts to their loyal Amex customers as part of their #amexappreciates campaign. Lo and behold I checked my mail and I had received a gift from American Express. Inside were two blowouts for the drybar valued at $90. While I won’t be using these, I will be giving them to my family who I’m sure will enjoy this! However, doing a search of #amexappreciates on Twitter other members have received the following: $250 Tiffany Gift Card, $250 Barney’s Gift Card, $100 Bonobos Gift Card, $100 Vince Gift Card, Packages from Boxed, and more. 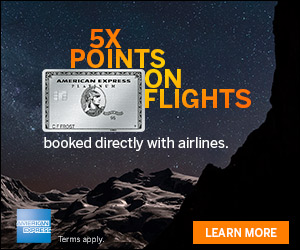 If you are not already an American Express card member, check out these new offers! I live in New York City and received 3 free classes to Soul Cycle. American Express is trying to tell me something….. I received a $250 gift card. How do I use this? Where can I use this? Are there only certain places you can use this? HA HA, American Express sent me a $100.00 dollar Total Wine gift card, the nearest Total Wine Store is a round trip drive of 120 miles, about a 3 hour drive. Yippee ! Received an American Express complimentary gift for $250 POSTMATES : On-demand Anything and have not been able to use it. Tried hard for 10 days and was told by POSTMATES they were experiencing problems. A disappointed 48 years loyal American Express Card holder, who would have preferred receiving no gift at all. What a joke. Received a $100 Anne Fontaine gift card. Tried to order a candle. Used code. Nothing. Why bother pretending to be appreciative. Dumb and disingenuous. Shame on you AMEX. I am not a 20 year old stick thin white model so the AliceandOlivia gift card wont be used. Again…why bother if the gift is thoughtless? Just tried to use the $100 Alice & Olivia card I got…. failed. Says code invalid. My Alice and Olivia “gift card” I received in March didn’t work. I have been talking with Amex since March 2018 and it is now June 2018. Amex said they would send a new one by May 15, 2018. I never received one. I have called three times since May (due to principle). They still have done nothing to upright the situation. I pay to be a card member and am disappointed with the service I have received (not received). Note to American Express: Don’t bother next time. Received Masters &Dynamic gift card today. What a waste of your and my time. Received my Masters & Dynamic $100 gift card. What a waste of your time and mine. Site was updating???? Just received my Master & Dynamic $100 gift card. What a waste of your time and mine. Site was updating??? Finally got a price of $450 for a set of head phones. Local head phones were quoted and were less than half that price and just as good. 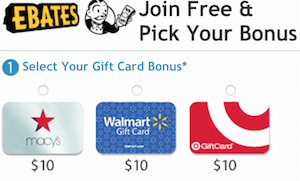 Why send out gift cards that you can’t use unless you spend it on that particular make? 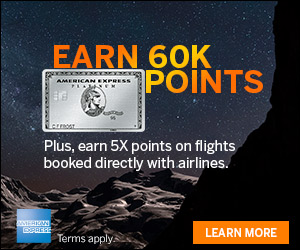 Looks like a scam to me and my opinion of amex for participating leaves a lot to be desired. Received complimentary ZEEL gift card. ZEEL.COM site does not accept the promotional code from AMEX.